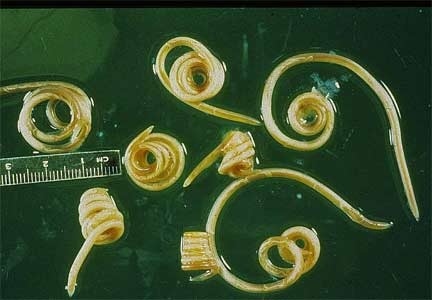 Heartworms are transmitted by mosquitoes and both dogs AND cats are at risk. Even indoor cats have been diagnosed with heartworm disease. 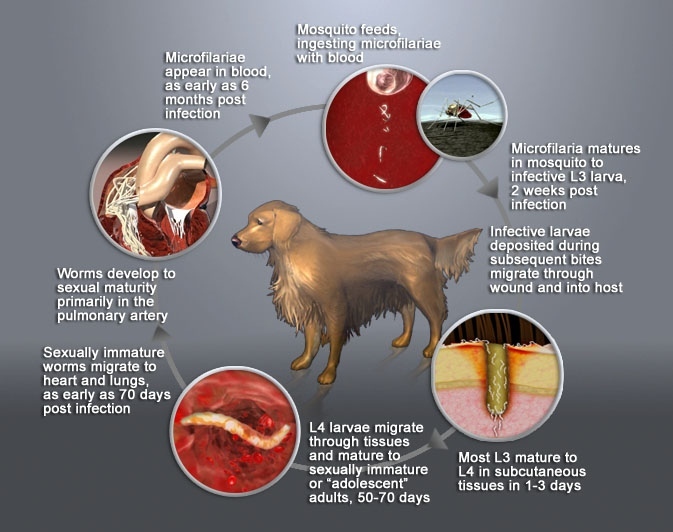 Heartworm disease is usually fatal when left untreated. There is no approved treatment for heartworm disease in cats and the treatment for dogs is costly and not without risks to the patient. Fortunately, heartworm is easily prevented by administering a once monthly preventative. Many of these preventatives combat intestinal and other parasites in addition to heartworms. In 2014, we personally saw 4 separate cases of heartworm disease in dogs who have never left this area and were not given monthly heartworm prevention, proving the importance of preventative care year-round. Ask us which preventative is appropriate for your dog or cat today! Ticks and fleas also pose a threat because it is not just your pet that they can affect. They can reproduce and affect humans as well. If you notice small bites, especially around your ankles, you might have fleas in your house. Fleas and ticks can be eliminated with a medicated bath and proper treatment from your vet. It is important to clean your house, especially areas where your pet frequently lounges, if they have fleas or ticks. As with most diseases, prevention is the greatest defense against ticks and fleas. There are many medications that we can recommend to make sure your pet is protected from these pests. The greatest threat fleas and ticks pose is that they can be carriers for dangerous diseases. Ticks are a main carrier of Lyme disease, something that can affect both your pet and you. 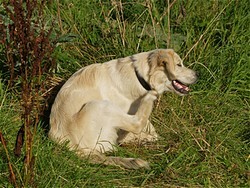 Fleas carry the intestinal parasite tapeworm as well so it is important to prevent against them. We recommend year-round prevention against both fleas and ticks as they remain alive and potentially active during the winter months. Roundworms, Hookworms and Whipworms are some other intestinal parasites that can cause vomiting, diarrhea, weight loss and other unpleasant symptoms. Humans can also become infected with roundworms and hookworms, potentially causing serious damage, including skin inflammation (hookworms) and eye damage (roundworms). Young children are more likely to contract these parasites as they tend to put their hands and other things in their mouths. Protect your entire family by keeping all of your pets on a parasite preventative. We have a variety of oral and topical preventatives that when administered once a month, can keep your pets heartworm and intestinal parasite free. In addition, routinely screening for intestinal parasites will detect any eggs in the feces, so bring a stool sample to your pet's next check up.